she's quite sweet! like her style a lot! Great style! Femke does the floral denim mix really well. ooh, fabulous! what a lovely lady! i've been a fan of her blog for a long time ! she's got amazing taste in clothes ! Cute style! I used to live in the Netherlands and I think she represents the looks most girls have over there. Very feminine and vintage inspired. I adore her style! She looks awesome. What a lovely interview! She has great style~! nice totally love her blog! Great interview, loved reading it. Fab style, thanks for sharing! Nice interview! I love Femke's style! I think it's really cool how you share other peoples' blogs with the world! 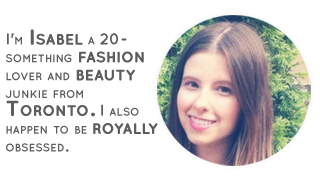 I love reading about how the other bloggers got started and what fashion trends they like. Nice interview, she has a great style! great interview. She has wonderful style. Hallo an euch alle , ich gerade gelesen dieses Hark in Deinem Blog und wie genießen Sie Aufstehen mit gute Informationen ! kee die harte Arbeit, Good Night und auch frohe Weihnachten und einen guten Rutsch ins neue Jahr 2011! Sorry bad Deutsch!